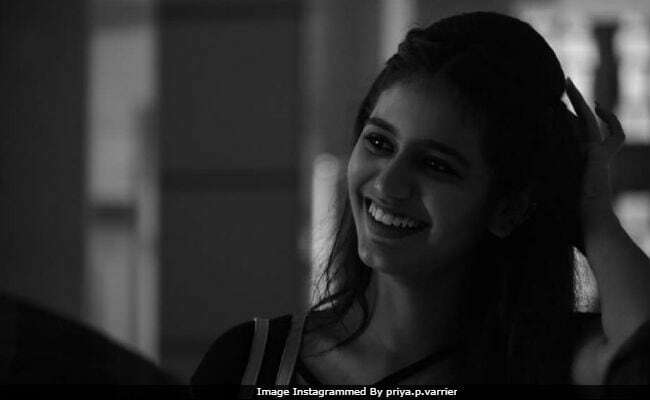 Malayalam actress Priya Prakash Varrier went viral with a wink and the Internet was smitten. Since last month, she has been trending on and off and on Wednesday, her new Instagram post gained one of the top spots on the trends list. It's viral again. Priya shared a black and white picture of herself smiling and captioned it as, "She was life itself. Wild and free. Wonderfully chaotic. A perfectly put together mess." The Internet just loved her picture and it has received over 7.5 lakh likes (and counting). Several comments such as "wow" and "such a cute smile" have been posted on Priya's picture, which has also been liked by Arjun Kapoor. See Priya Prakash Varrier's picture here. A clip of Priya Prakash Varrier from her new film Oru Adaar Love went insanely viral last month. She became the nation's new crush. Her Instagram account also got verified, after her follower count shot up to over 1.5 million overnight. With just 101 posts, she currently has 5.1 million followers (and very much counting). We have collated some more pictures of the young actress. (You can thank us later). The viral clip that sent the Internet into a meltdown was from a song titled Manikya Malaraya Poovi from Oru Adaar Love, in which Priya flirts with a fellow student (co-star Roshan Abdul Rahoof), who was as overwhelmed by her wink and smile as social media was. Later, she shared another snippet from the film (minus the wink), which also went viral. Oru Adaar Love, directed by Omar Lulu, is scheduled to release during Eid.